Back in the spring, I entered Shiela’s competition on the Handspinner website to create a blossom themed project. My hat was selected by the judge as a winner and the voucher I was given has been burning a hole in my pocket for a couple of months. Now, I love my Ladybug wheel dearly, but have never been too happy trying to ply multiple singles from the inbuilt lazy kate. I tried a four ply. Once was enough… So, I decided to use my voucher to buy an Ashford Competition Lazy Kate. I’ve only used it once, but what a difference it makes! 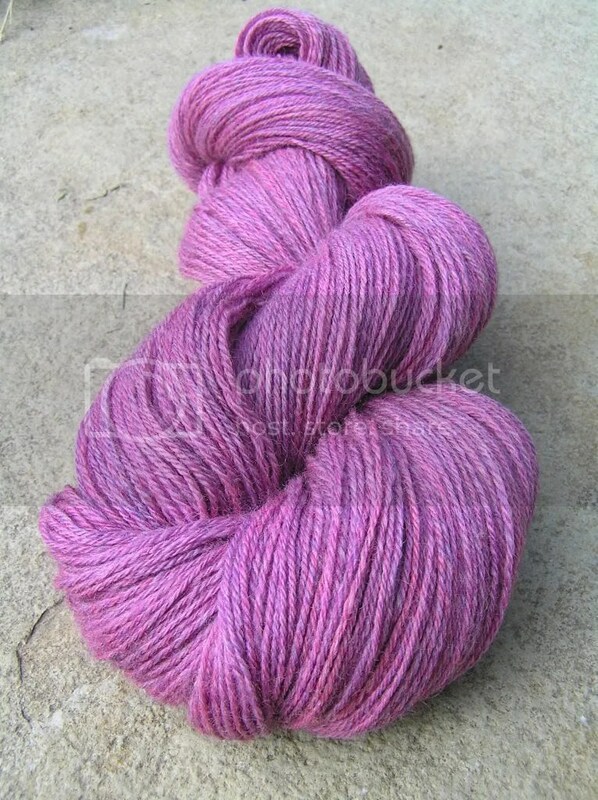 I had been working on spinning a consistently fine yarn. 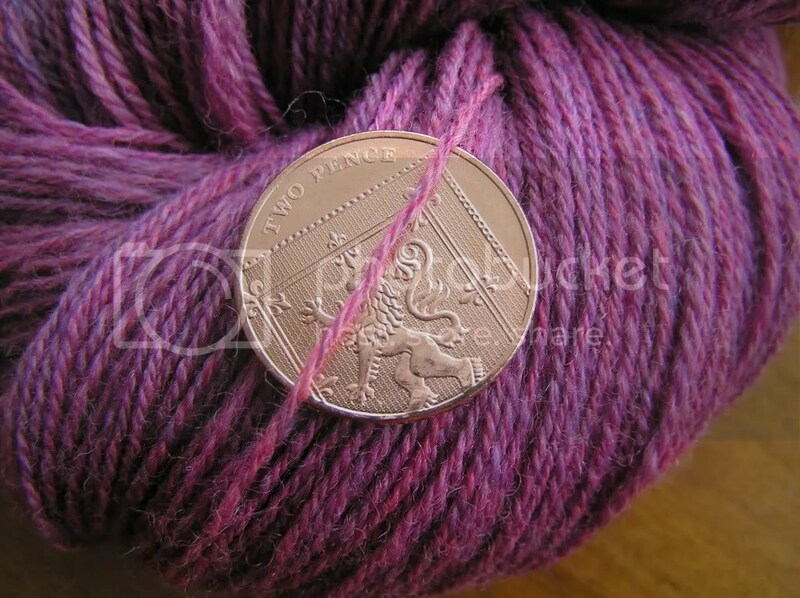 About a year ago a group of us on Ravelry were trying to spin 800 yards of two ply from 100g of fibre. 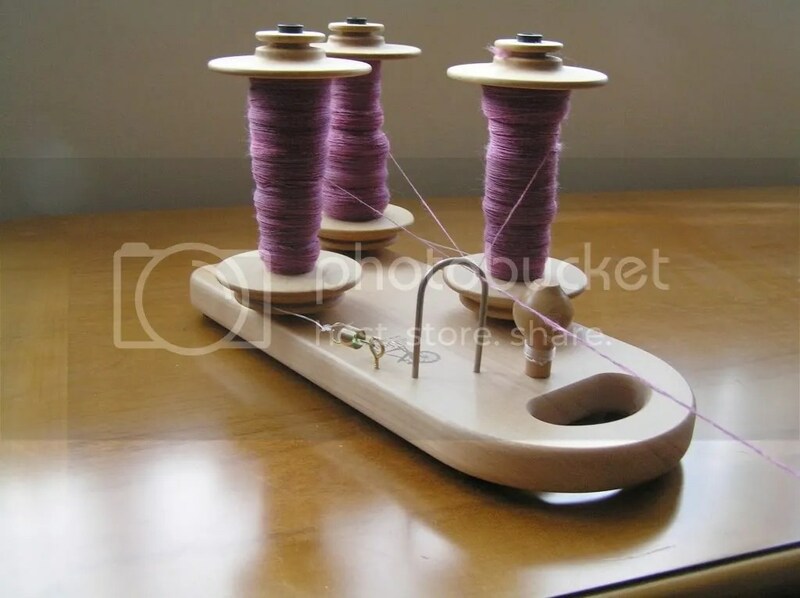 I had been spinning for about six months back then and got to about 500 yards and was pretty chuffed with that 🙂 I didn’t start spinning this fibre with a goal in mind, but I ended up with around 550 yards of three ply – so that’s 1650 yards of singles and if I’d made two ply I’d have got just over the magic 800 yards. 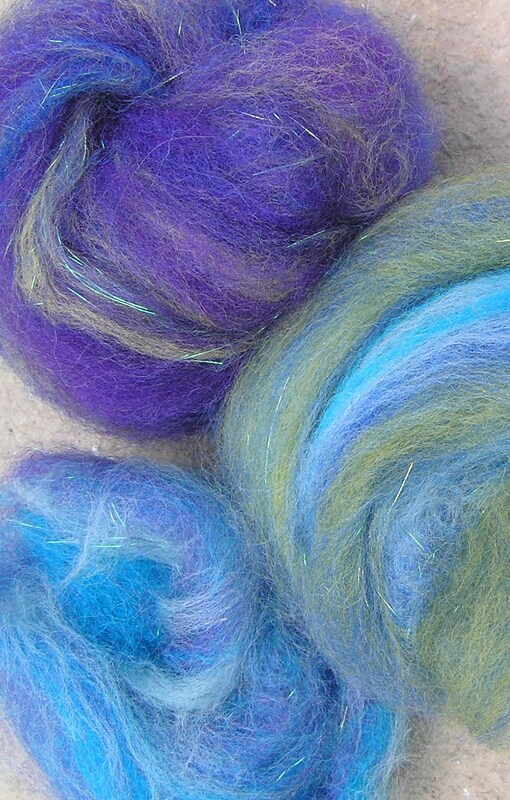 I’ve been dyeing fibre lately, but still have all sorts of bits and bobs of commercially dyed fibre around. I spent a happy hour or so carding merrily through a mix of green, teal, blue and purple fibres, mostly merino and corriedale, with a bit of angelina fibre thrown in. Photos don’t seem to pick up the twinkly effect that the angelina adds, but trust me, it’s shimmering away nicely.